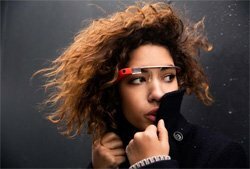 Are you stoked for the new Google Glass to finish development and go into wide release? Many of us are. It would be kind of cool to wear a sort of computer and video camera like glasses all day wouldn’t it? However, if you reside in Seattle, you may have to stick with your plain old smart phone in one local bar. According to media reports, the 5 Point Café, which is a bit of a dive bar and restaurant in the area of Emerald City in Seattle, posted a message on Facebook that said that Google Glass, which was introduced in beta form in February, is a no-go in their building. The post got a strong response, with some people approving and others disapproving of the ban. The owner of the bar, Dave Meinert, said on a radio show last week that the post was both humorous and serious. He noted that the culture of the bar is a bit seedy; people want to go there and not necessarily have people know about it. So, if people are being secretly filmed and that film is then splashed all over the Internet, some people would probably be a bit peeved. Meinert said, half joking, “I’m a thought leader” on the topic of banning Google Glass. Seattle is famous as the home of many tech geeks, being the city of Microsoft and many other tech firms. And some of those geeks have been known to go to the bar. But, if they hang at the 5 Point Café, they will have to leave the Glass at the door. It will be interesting to see how Google Glass does in wide release in a few years. Google just did its recent update of Panda, as well as some big changes to Chrome, so the company continues to evolve in big ways, and Glass is just the latest example.